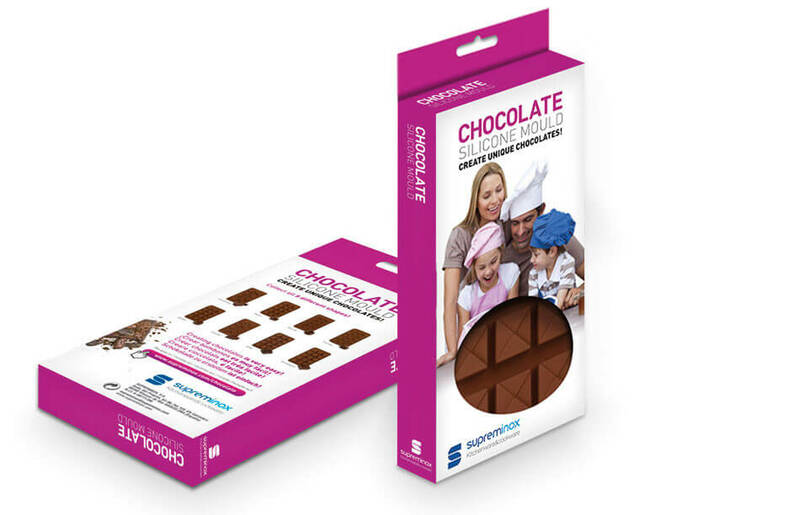 Design and creation of packaging for chocolate silicone molds. The design was created for its placement in supermarkets and kitchen specialized stores.. Product photograps, graphic design, creation of physical models and management with manufacturers for production.